General anesthesia is an artificially induced, temporary dissociation from motor and sensory nerve transmission to perform procedures that have the potential to cause significant discomfort. Under general anesthesia, a patient cannot manage their own airway, and must be kept breathing by artificial means. Most people refer to general anesthesia as “going completely out”, or “going to sleep.” General anesthesia is typically produced through the inhalation of certain gases. Sometimes an “inducing agent” is given intravenously before the general anesthesia is given. Sedation likewise produces a degree of dissociation from normal motor and sensory nerve transmission, and is also used when procedures have the potential to produce significant discomfort. However, people who are merely sedated retain control over their own airway, and do not normally require artificial support of their respiratory function. Sedation can be accomplished via intravenous medications, through oral medications, or through inhaled medication, like nitrous oxide. Each has its own associated benefits and risks, and each provides different levels of control over the depth of sedation. Consequently, the safety factors for each type of sedation are different. Dental procedures for which general anesthesia is normally prescribed include maxillofacial surgery—surgical manipulation of the jaws and/or bones of the face. Use of general anesthesia is uncommon for general dental procedures, unless the patient has special needs. Sedation is more commonly used in general dentistry for invasive procedures that involve the possibility of significant discomfort. The risks of sedation need to be carefully weighed against the potential discomfort of the dental procedure. Generally speaking, the deeper the level of sedation, the more risk involved to the patient. 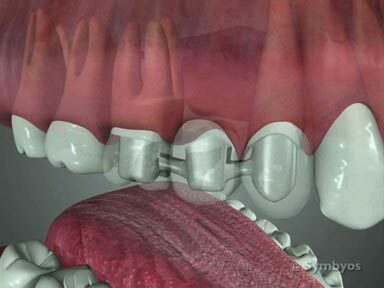 Among the procedures for which deep sedation may be appropriate are removal of multiple teeth, including wisdom teeth; placement of multiple dental implants; advanced bone grafting procedures; and procedures on special needs patients, such as young children with extensive dental needs, and developmentally disabled patients. 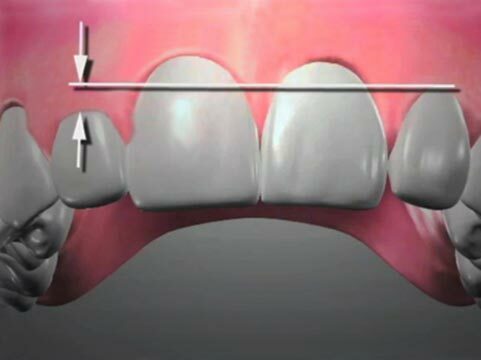 There are many specific indications for sedation dentistry, and the field is growing in popularity. General anesthesia and sedation are typically performed in dentistry only if the procedure is extensive, or has the potential to cause above average discomfort that cannot be controlled with local anesthetic; or if the patient has special needs (e.g. developmentally disabled, very young patients with substantial treatment needs). Furthermore, general anesthesia and sedation are relatively costly services to deliver (with the exception of oral sedation and nitrous oxide sedation). Since dental plans have limited annual maximum benefits, plan dollars that are disproportionately allocated to non-dental services like general anesthesia or sedation would leave fewer dollars for dental care. Offices that provide oral sedatives frequently schedule sedation procedures on multiple patients in sequential order, so that waste in the amount of medication used may be minimized. Opening a container of sedative medication that contains enough medication for several patients is inefficient if just one patient requires treatment. Sedative medications can be costly. Consequently, some offices require a monetary deposit prior to scheduling patients who will be sedated, so that the overhead expenses are covered if a patient fails to keep an appointment. Pediatric sedation involves unique risk factors and precautions because of the unique anatomy and physiology of children. A description of general anesthesia administration is not currently available. If you are going to be sedated intravenously for a procedure, your dentist will review your health history, any medications you take, and any allergies you may have. Before you are sedated, you should discuss the treatment plan and review your treatment plan options ahead of time with your dentist. You will not be able to comprehend informed consent forms describing dental procedures while sedated, and should have a thorough understanding of potential risks and complications, and what may be done in the event complications of the dental procedure(s) occur, before you are sedated. If you are healthy, and your dentist feels you would benefit enough from the sedation to offset any risks, the procedure for sedating you is simple. You may be required to go without eating or drinking for a period of time before the sedation. To begin the sedation, a catheter (needle with tubing attached) will be inserted into a vein, generally in your hand or arm, and connected via sterile tubing to a bag of fluid (typically a sterile mixture of dextrose and water). The flow rate of fluid is controlled with a valve on the tubing, and your medication will be dripped into the fluid slowly enough to observe your behavior as the medication begins to affect you. When you are appropriately sedated, the dental procedure(s) will be undertaken. Your doctor will monitor your heart rate, respiration rate, blood pressure, and oxygen saturation levels throughout the procedure to be sure you remain safely sedated. Several minutes before the procedure ends, the doctor will stop dispensing the sedative into the IV tubing. Following the procedure, you will generally be allowed to “awaken” on your own. In rare cases, the medication may be rapidly reversed via application of a reversal drug (generally administered under the tongue). Not all dentists are certified to administer intravenous sedation. Some providers contract with anesthesiologists, or certified nurse anesthetists to provide intravenous sedation in their offices. This may result in a separate bill for the anesthesia services, apart from the dental bill, so be sure you understand the policies of the practice from which you receive your care. If your dentist prescribes an oral sedative, he or she will review your health history, any medications you take, and any allergies you have. If you are healthy, and your dentist feels you could benefit from oral sedatives, he or she will advise you to have someone drive you to and from the dental appointment for your safety, and the safety of others. Oral sedatives impair your ability to operate machinery, drive a vehicle, and other activities requiring normal motor function. Your dentist will generally prescribe the minimum effective dose that will allow you to be effectively treated. Certain medications may be given to allow a good night’s sleep prior to a procedure. Some may be given an hour or so ahead of your appointment time. In general, you should not take other medications that “slow you down”, such as alcohol, narcotic pain relievers, or insomnia medications, at the same time you are taking oral sedatives. You should also not take more than the prescribed amount, or take multiple doses simply because you don’t feel sedated. You should discuss what will be done in the event you are not effectively sedated before it occurs, so there will not be pressure to take more just to get a procedure “over with.” You should also have a thorough understanding of the risks and complications that may occur during the procedure, as well as steps that will be taken in the event complications arise, before you are sedated. Nitrous oxide has been used safely and effectively in dentistry since the 1860’s to help alleviate anxiety. In certain cases, it may be the only medication needed to comfortably perform a dental procedure. It is rapidly administered, and just as rapidly reversed. If you are going to be sedated with nitrous oxide, your dentist will apply a mask over your nose and mouth that delivers a mixture of oxygen and nitrous oxide gas. The fraction of nitrous oxide mixing with the oxygen will be increased until you are visibly sedated. At that point, the dental procedure can be started. After the procedure, the dentist will generally increase the flow of oxygen so that you receive 100% pure oxygen for a few minutes. This is done to prevent diffusion hypoxia, which can produce nausea and vomiting when the nitrous oxide rapidly displaces oxygen out of the bloodstream as it diffuses. That important step should not be left out, but unfortunately sometimes is. Are “amnestic” i.e. they allow extensive, or invasive dental procedures to be performed without any memory of the procedure. Even some of the oral sedatives have amnestic effects, although you may be “awake” enough to carry on a conversation. Prevent avoidance of treatment due to fear or anxiety. Allow treatment of patients who would be difficult or impossible to treat otherwise. The drug may be administered slowly (titrated), giving enough time to monitor the patient’s response to it, and reducing the chance of oversedating the patient. Drugs may rapidly be administered to reverse the sedation if complications are noted. The doctor knows exactly how much medication has been given, because he or she is dispensing it directly. Oral sedatives are the most economical means of providing reasonable control of fear for healthy, adult patients; and can work well, provided they are prescribed and taken responsibly. Depress (or, in the case of general anesthesia, eliminate) spontaneous breathing, and as such can present a life threat in cases of over-sedation. Impair your ability to operate machinery, drive a vehicle, or perform other motor functions safely while under the influence of the medication. You may not be fully aware of your impaired abilities, and should be supervised until motor function is normal. Your doctor can help you determine how long the period of sedation should last for the medication you are taking. Have a potentially life-threatening additive effect to other central nervous system depressants you may be taking, including narcotic pain relievers, insomnia medications, and alcohol. Add to the overall cost of what may already be an expensive procedure. May not be necessary to allow safe and effective treatment of fearful patients. Sometimes, just talking through a patient’s fears and establishing a basis for trust, can go a long ways toward making a patient comfortable. General anesthesia and sedative medications may have specific risks that are not mentioned here. Your doctor will be able to provide you with a detailed information sheet describing any medication they prescribe. Be sure you understand all of the risks and benefits of the medication you will be receiving. It is difficult to predict how a person will respond to an oral sedative medication, and the exact dose that will provide a safe and effective sedation is uncertain. Oral sedatives cannot be “titrated” (administered a little at a time until just the right dose is reached). Patients who are under-sedated at the time of the appointment may need to be rescheduled on another day, and the oral dose adjusted. This “trial and error” approach wastes valuable time for everyone involved. There is no way to be sure how much of the drug a patient took, unless it is administered in-office. This may not be practical for the patient or the provider. Oral sedatives given to reduce the anxiety of a procedure may combine with pain relievers given to reduce post-operative pain, to produce a deadly amount of central nervous system and respiratory depression.